What 3 Things are Most Enterprise Cloud Strategies Missing? You are here: Home / Cloud Accounting / What Three Things are Most Enterprise Cloud Strategies Missing? What Three Things are Most Enterprise Cloud Strategies Missing? What causes enterprise cloud strategy to fail? 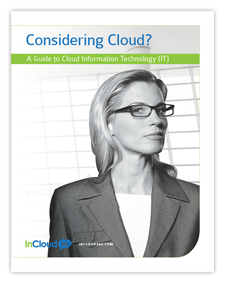 What do you need to know to improve cloud adoption and efficiency? How can your enterprise improve in the cloud? Cloud computing fails due to a lack of knowledge more often than it does because of failure with technology. (via Datamation) According to an IBM announcement, organizations that gain competitive advantages through cloud adoption reported almost double the revenue growth. The study claims these organizations have nearly 2.5 times higher gross profit growth than peer companies that are not as aggressive around the use of cloud computing. The survey was conducted with more than 800 business decision makers and users worldwide. Thank you, “Captain Obvious.” Even if you think calling IBM a neutral third party is a bit laughable, the study rings true to me. It’s clear that the use of cloud computing has a positive benefit on the bottom line of most organizations who invest in this technology. The problem is, most organizations don’t, and, those that do, invest in the wrong places. It’s been my experience that many companies get cloud computing wrong. Although most on staff understand what cloud is and can do, the problems typically arise around implementation of this technology. Large issues do not get addressed, and thus many enterprises fail in the cloud. The core problem is that some things are missing in enterprise cloud computing strategies, and these things are often not addressed or understood until it’s too late. My lot in life lately has been getting on airplanes and explaining this to many organizations that find their cloud strategies dead in the water, typically because they overlooked some fundamentals. So, save yourself the plane fare. Here are three of the most overlooked items that go missing from most enterprise cloud computing strategies. As I explain them, count how many are missing within your own organization. 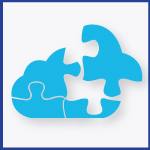 Cloud Governance, both in services and resources, is often overlooked. Why? Few people understand it, and fewer still can write a plan. This strategy provides you with the ability to control public and private cloud services, such as cloud-based APIs. Also missing from the typical list is the ability to control resources, such as allocation and provisioning of storage and compute resources from public and private clouds. While many in enterprise IT believe that they can just toss technology at this problem, such as the many cloud management platforms (CMPs) that are starting to emerge, you must first deal with the understanding and planning aspect of this type of governance. Unfortunately, the P-word (planning) is about as fun as year-end budgeting, and most just avoid it altogether. However, lack of planning means lack of the knowledge you need to select the right path to cloud services and resources governance. Thus, you’re just shooting in the dark. Unless dumb luck plays a part, you’re going to miss, and it will cost you time. Training and hiring plan is typically missing, which means you’re not likely to have the necessary talent around when your clouds are up-and-running, or perhaps even when you’re designing and building them. Things are changing, and chances are very high that you’ll need specialists in cloud security, cloud governance (see previous), as well as the brands of private and public clouds you leverage. While many enterprises believe that you can hire on-demand, good luck in the emerging world of cloud computing. Skills are going fast, and for big money. Also, don’t give up on your existing staff. Make sure they have the training opportunities that will allow them to progress toward the mad cloud skills that you’ll need. Work with the ops teams to make sure there are enough people to monitor, fix, and maintain your new public and private clouds. Typically, those are not the people who currently run the data centers, and, back up one step, you do need to make sure the right skills are in-house through hiring and training. Some of the new processes and technology that will be in place include governance (see above), identity-based security, performance management, and cost monitoring. Somebody needs to kick the servers when they go down, even when they are housed in Microsoft or Amazon data centers, thousands of miles away. Cloud computing fails due to a lack of knowledge more often than it does because of some failure with the technology. Hey, we’re pretty new at this, so it’s to be expected in some cases. However, as the IBM study points out, the future of the business is on the line, linked to your success with cloud computing technology. This is not your average technology refresh; it’s a systemic change in computing as a whole, and should be given the right weight and importance. InCloud360 is invested heavily in the cloud. We know what it takes to improve your cloud adoption. Subscribe to Cloud Academy Blog, sign up for our newsletter, and contact us for more information.